The San Bernardino American newspaper is the oldest adjudicated, locally owned minority newspaper serving the Inland Empire of California, and serves as a community information source and resource. Adjudicated a legal newspaper of general circulation on September 30, 1971. case number 153913 by the Superior Court of San Bernardino County.Member (CNPA) California Newspaper Publisher’s Association. The San Bernardino AMERICAN Newspaper is to serve its readers by presenting news, unbiased and objective, trusting in the mature judgment of the readers and, in so doing strive to achieve a united community. News releases appearing in the San Bernardino AMERICAN do not necessarily express the policy nor the opinion of the publishers. The San Bernardino AMERICAN reserves the right to edit or rewrite all news releases. SAN BERNARDINO,CA-It was May 8, 1969 Samuel Martin Sr., published his first edition of The San Bernardino American News. 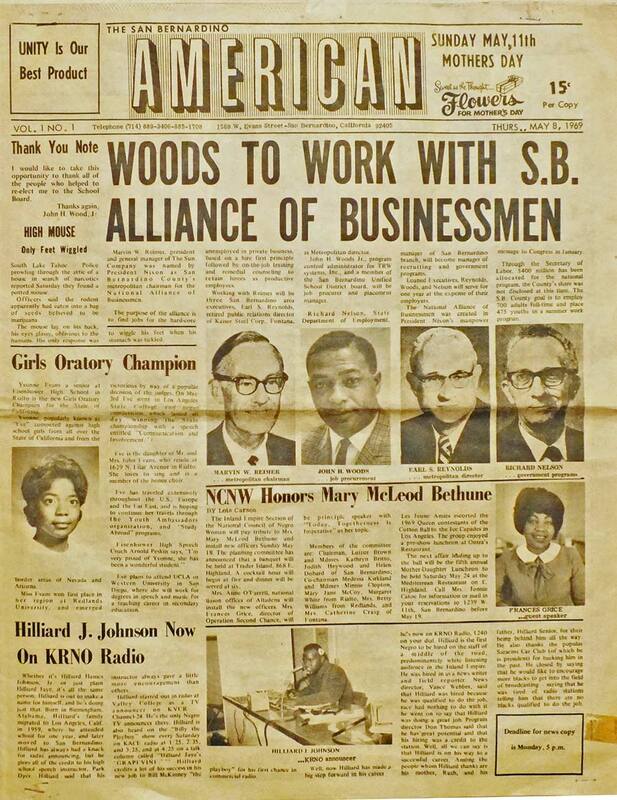 In 1971, it became a minority-owned legally adjudicated weekly newspaper. He started in a garage at his home typing on the mimeograph typesetter. The process was challenging because when you made a typographic error you had to use ‘ white out’. To say the least, he had a lot of ‘white out’ in stock. The nights were long as he prepared page by page on a paste board, news articles of current events in the community and in our county and government. The Metropolitan Water District (MWD) controversy of taking “water rights” was one of many issues published with the old mimeograph machine. There were 40,000 fliers distributed in the Inland Empire speaking out against MWD. Once the articles were typeset, they had to be proofed, cut and pasted on the broadsheets. Mr. Martin spent many hours devoting his time to a profession he loved. He felt the Westside Community needed to be heard and the instrument used to give them that voice was the NEWS MEDIA . In 1962, he became the first African American Committeeman elected in the 5th District. To encourage more people to vote, Samuel Martin was appointed to be Precinct Captain of the 5th Precinct of the Democratic Party. He along with James Ford, encouraged voting, having residents of the Precinct, report to the Precinct Captain. 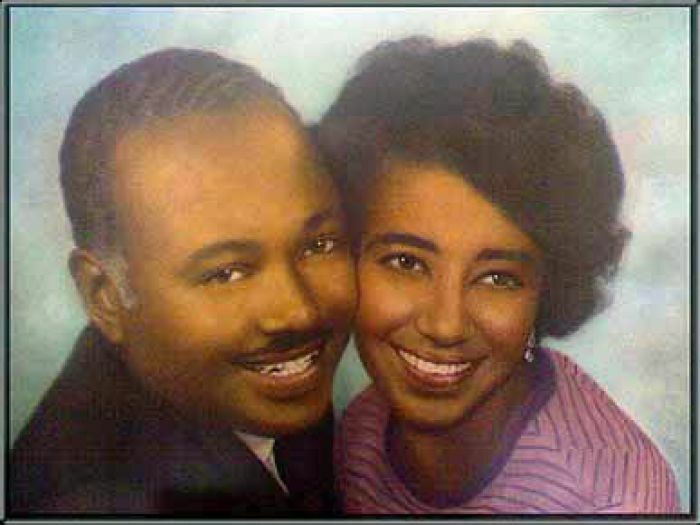 Being one of the Co-Founders of the Precinct Reporter Newspaper, the original idea of reporting to the Precinct was the reason why Samuel Martin coined the phrase “Precinct Reporter.” He was also the Founder of The Black Voice News which was established in 1972 and was assisted by Ardess Lily and The Black Student Union at University of California Riverside in giving a voice to African American Students on the College Campus., Samuel Martin Sr. saw his vision become ever clearer in the weekly production of The San Bernardino American Newspaper. He fought to have a voice in the 60’s against discrimination in the workplace, schools, and neighborhoods by giving a voice to the people by means of the news reports that are published. The late Samuel Martin Sr. , Founder of the San Bernardino American News and his late wife Willie Mae Martin will be remembered for their inspiration in bringing such a valuable tool, ‘A Voice’ to the Westside Community and the Inland Empire.